We all love our friends and are always looking for ways to spend more time with them. They are our extended family, the people we chose to keep in our life. But with work and family keeping us busy, over time it becomes more difficult to make time for them. A lot of us plan our holidays with friends to make up for lost time. This can prove to be great as you can, together, get away from your hectic schedules and take your time to bond again. But there’s more to this than meets the eye. While vacationing with friends does sound like a lot of fun, it doesn’t always turn out to be that way. A perfect holiday can turn into a nightmare for various reasons. Either a friend wants to go to the beach while the rest wants to go trekking, or monetary issues may crop up. This post lists a few points that can help everyone enjoy their time together and remain best friends forever, and have a fun vacation. The success or failure of your trip depends on how you plan it. First off, think about who you want to go with on the trip. It is wise to prefer people you can stand for extended periods of time and with whom you want to share experiences. Second, avoid choosing a friend’s hometown or family home as a destination, unless you are OK with formalities. The choice of a destination should be according to a set of criteria that you’ve all agreed upon. Finally you will need to assign responsibilities for travel logistics. How much baggage to carry? Who is searching and booking reservations? Be sure to plan transport, lodging, entertainment, and safety options. That will ensure your fun vacations go as planned. If you’re planning a group vacation, fill all communication gaps. Keep everyone in the loop of travel-related information. Assigning responsibilities helps define a clear communication chain everyone can follow. In case that communication chain breaks, at least you will know where to pick up from. A fun vacation is only pleasant if everybody feels as a part of it. Money breaks friendships! Discussing money matters may be awkward at times but it is always necessary. Have a transparent conversation about travel finances handling as soon as possible. Have a group meeting where everyone participating can set realistic expectations for the trip. Set up a clear and realistic budget and stick to it to avoid extra expenses. Just be sure to set aside emergency funds, in case your fun vacation should go wrong somehow. Trouble has a knack for showing up uninvited. Preparation will spare you a lot of hassle. Plan A goes awry, always have a plan B! Is it even more important to be far see trouble if you are traveling abroad. How to prevent or cope with stolen / lost credit cards? What to do in case of lost phone to stay in touch with group? 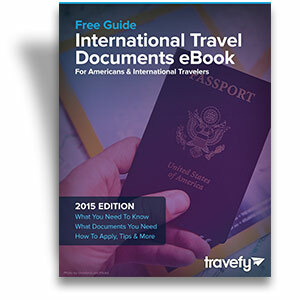 What is the emergency travel procedure if you lose your travel documents? It’s not a real fun vacation until you feel free. One feels freedom on the road in the array of pleasant activities to enjoy. Don’t let the group take away your little pleasures. Thus, break the large group into smaller like-minded groups if you must to pursue things you like. And it is not because it is a group trip that you cannot wander by yourself at times. Taking a break from the group can be sometimes relaxing. Remember, this is a holiday that you planned with your friends. Everyone will have to adapt and compromise to some extent. Keep the above pointers in mind, and you should be able to enjoy a fun vacation with them. Eliana Mathews is a blogger and writer for AnyCarHire. She loves to share memorable travel journeys and experience through her writing.